Employee details are always one click away on most pages. If you click the employee name, the Employee Details window opens. 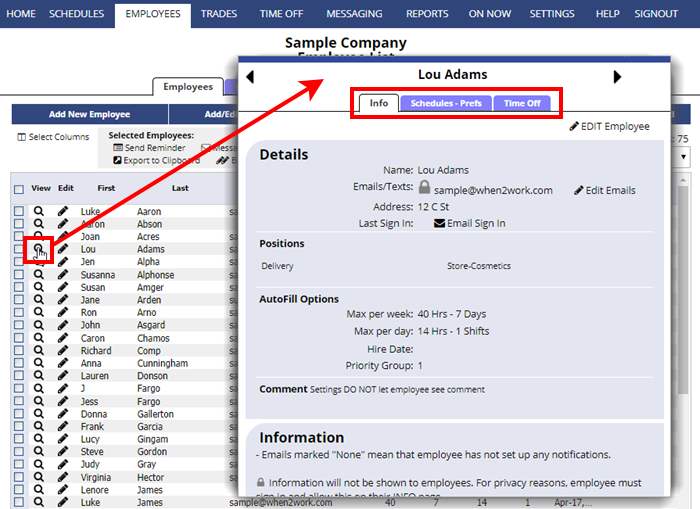 The Employee List grid also allows you to see an overview of the employee information. Use the “Select Columns” link to choose which columns appear there. 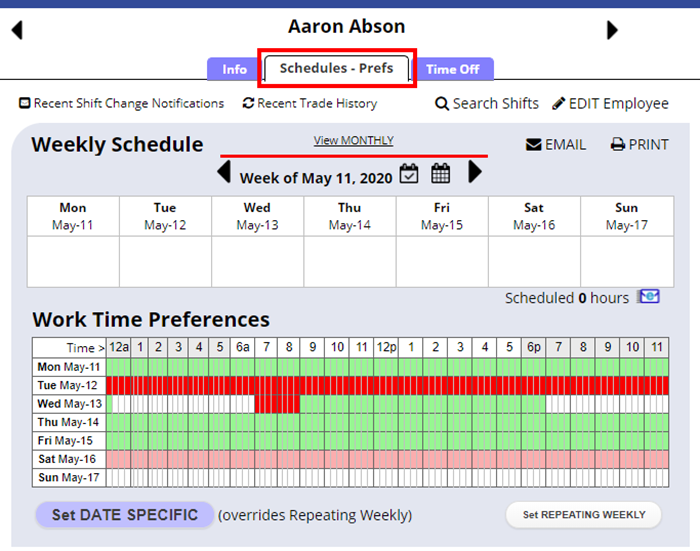 You also can use the link on the Schedules – Preferences tab to email the employee their schedule. 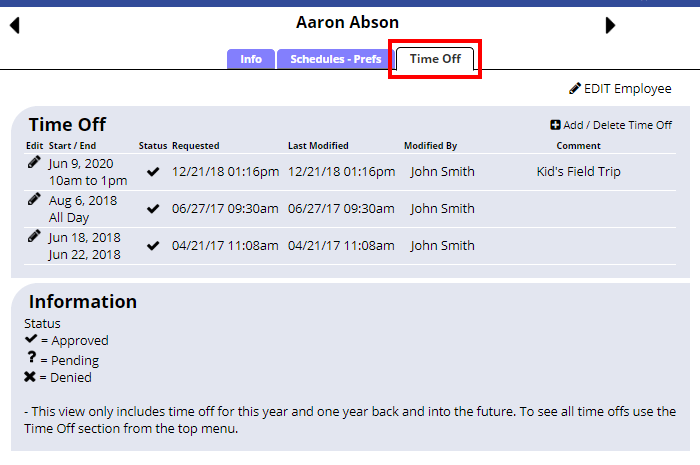 Sending schedules from this page does not affect the status tracking icons.